Our modern fleet of cranes and contractor's general plant is supplied to our clients by a highly motivated team of dedicated staff from our depots in Hampshire, Dorset, Somerset, Middlesex, Buckinghamshire and Oxfordshire. All General Plant hire takes place under CPA Model Coditions. 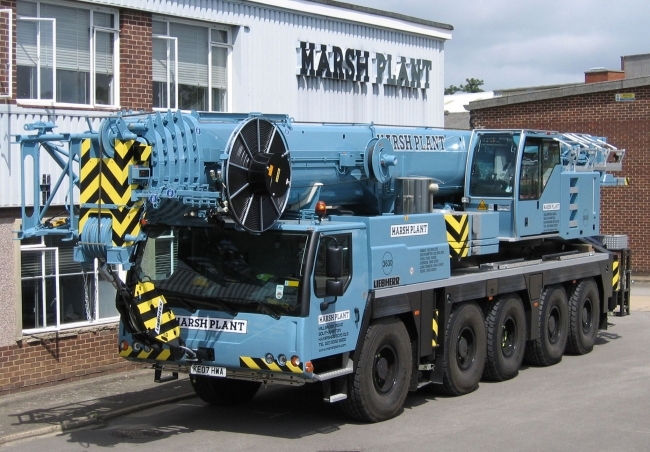 Marsh Plant Hire Limited is able to offer crane hire under CPA Model Conditions or CPA Contract Lift Conditions, to suit your individual repuirements. We offer a modern fleet of high specification mobile cranes ranging from 20 to 130 tonnes. We operate Faun, Grove, Liebherr, Terrex and Tadano. Our modern general plant fleet consists of the latest specification machines from Bomag, JCB, Kubota, Merlo, Manitou, Thwaites, Terex and Atlas Copco.